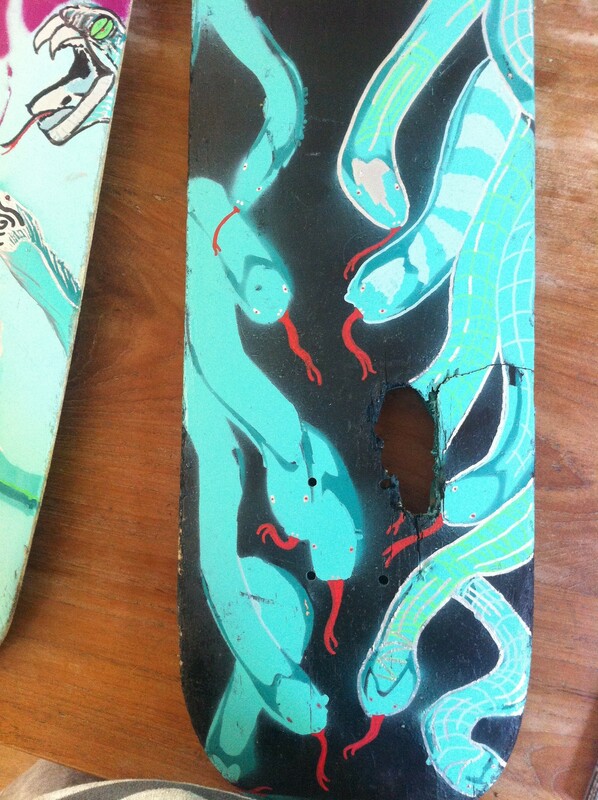 The most boarders like us created after a few years of boarding a nice collection of old and damage boards. 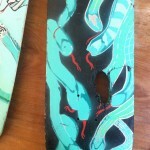 Most of the time they are dropped some where in a corner and will be moved all the time. 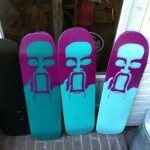 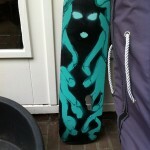 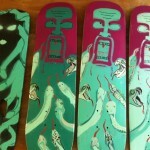 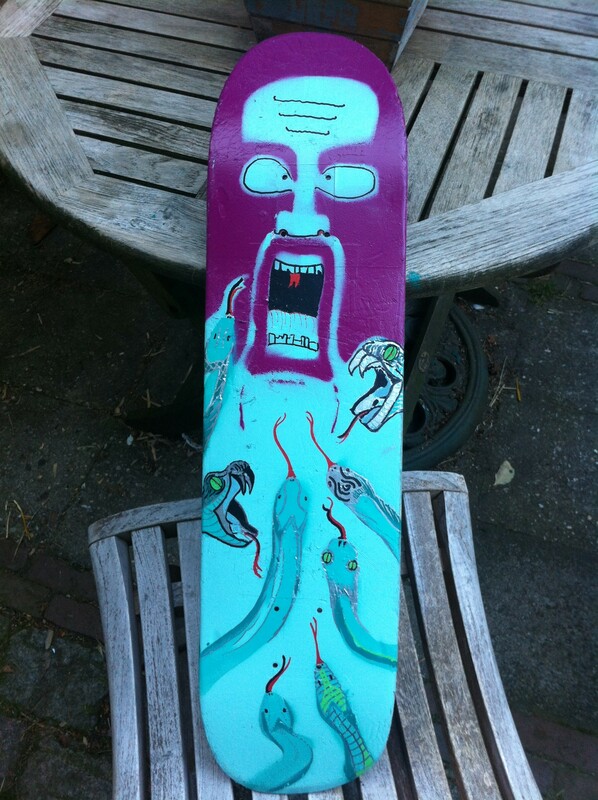 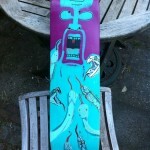 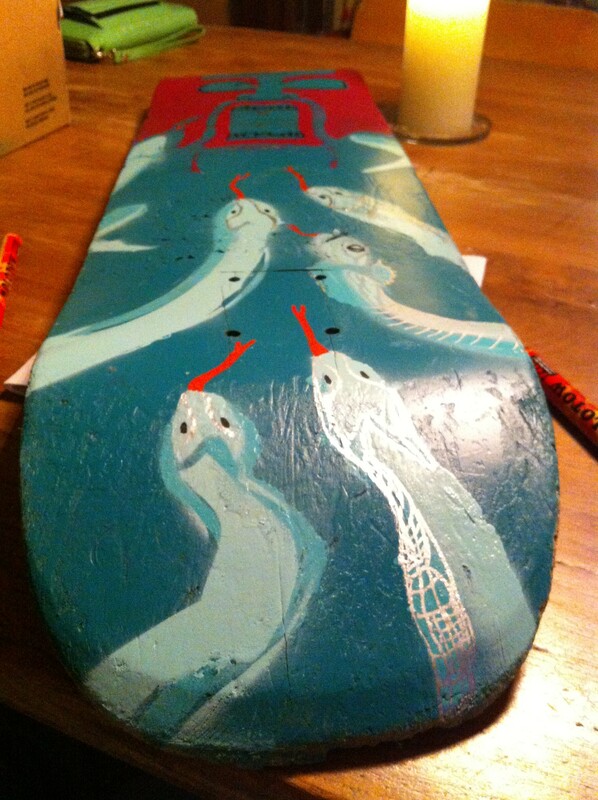 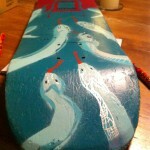 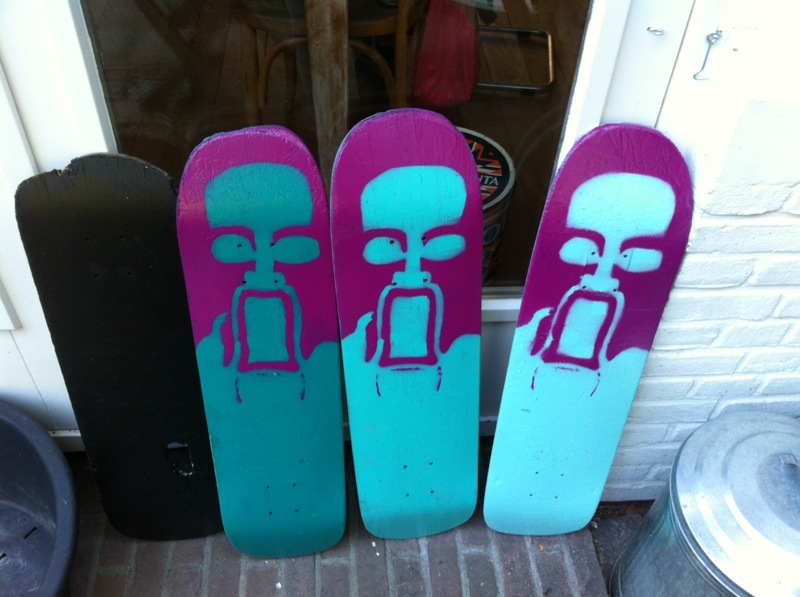 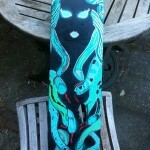 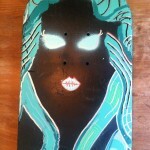 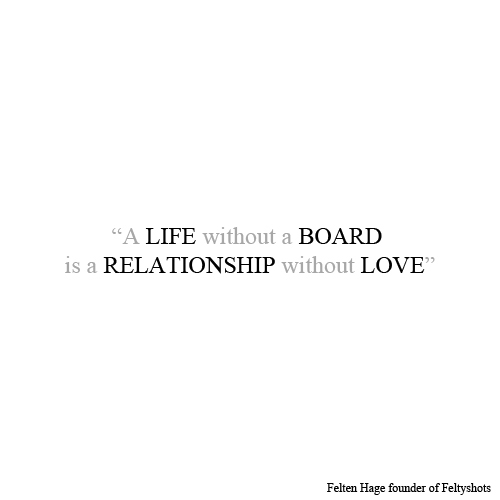 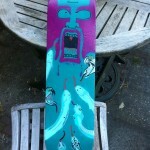 That is why we challenged all the boarders to create an artwork on one or more boards. 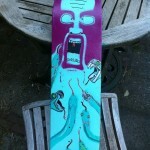 From all the submissions we took one winner. 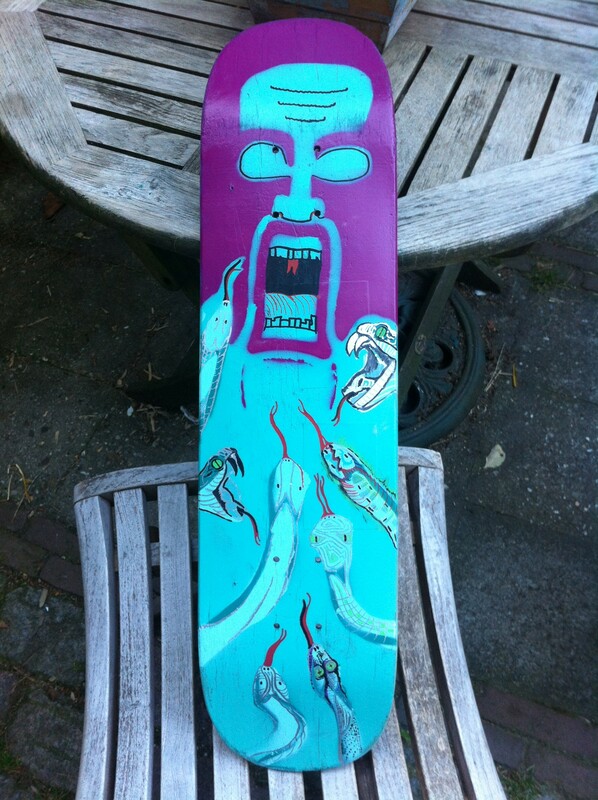 And the winner is Juul Koene. 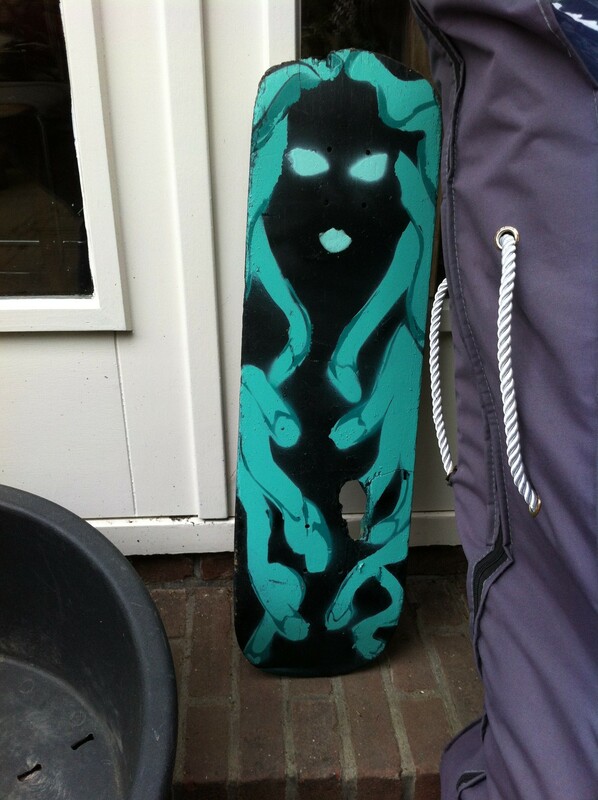 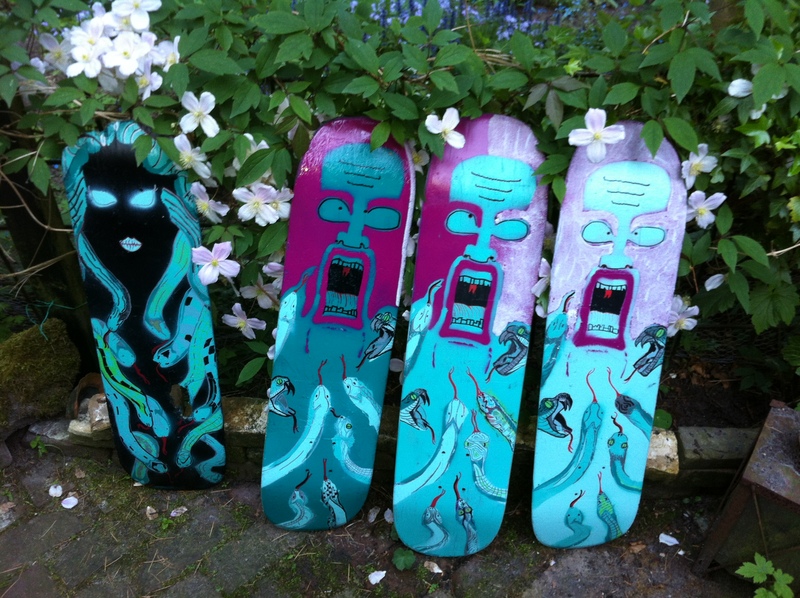 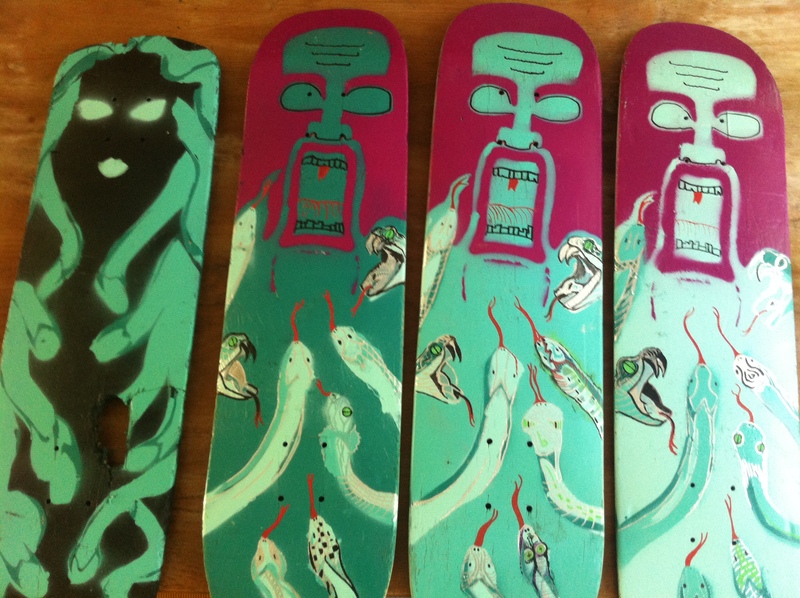 Juul Koene created her artwork on four different boards. 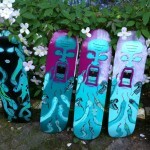 The four board represent the story of Medusa. 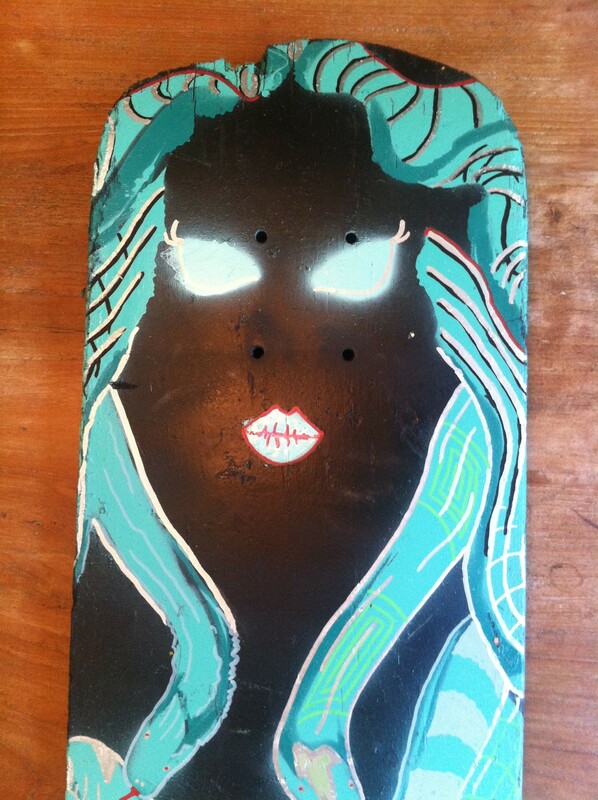 The story of Medusa (black board) is, if you look into her eyes then you become petrified. 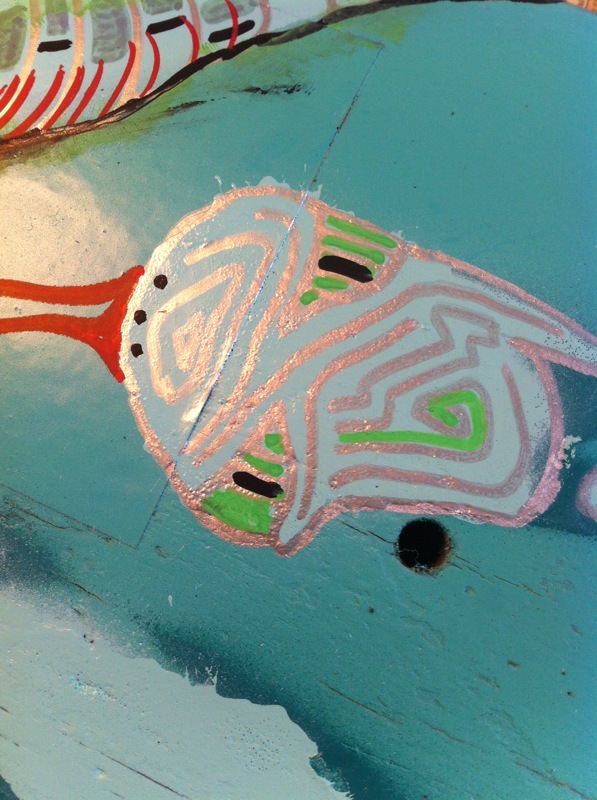 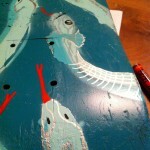 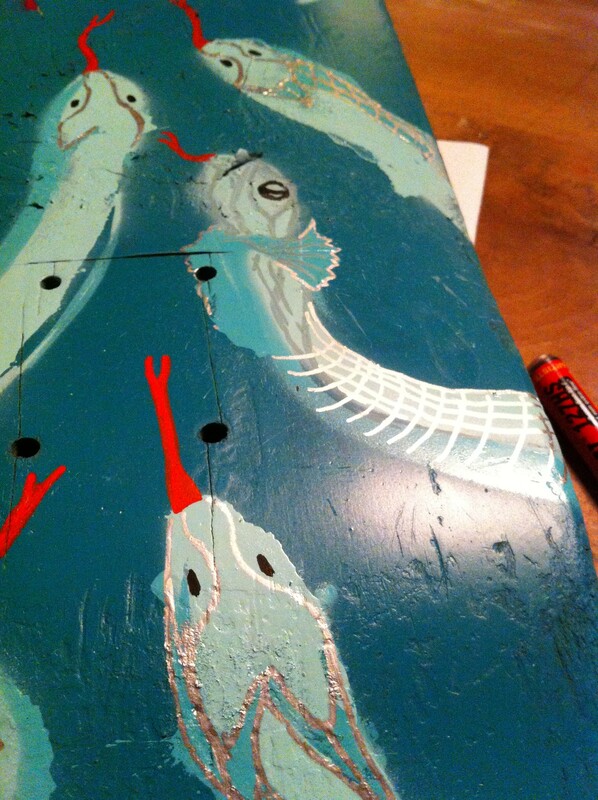 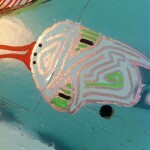 This process, she has portrayed with sand on the other three boards. 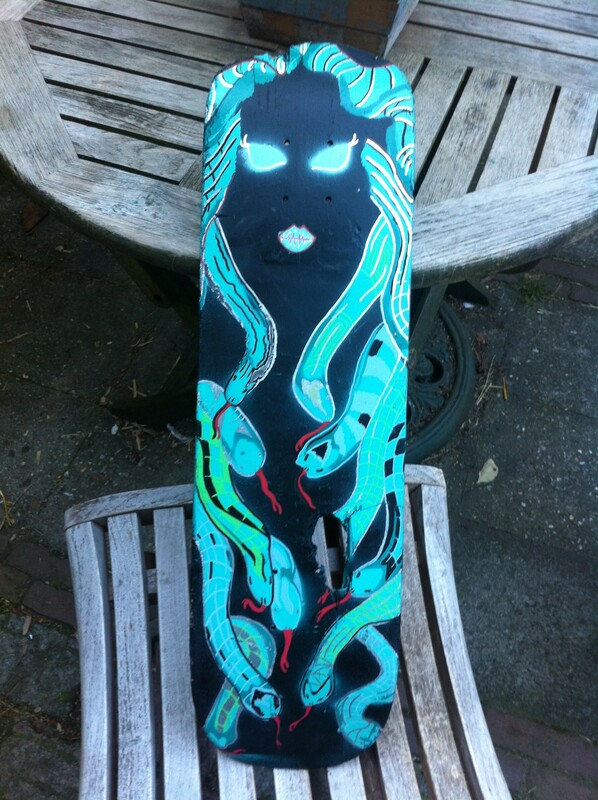 We liked the design so much that perhaps in 2015 we will release the design on a skateboard or longboard (only with the approval of Juul). 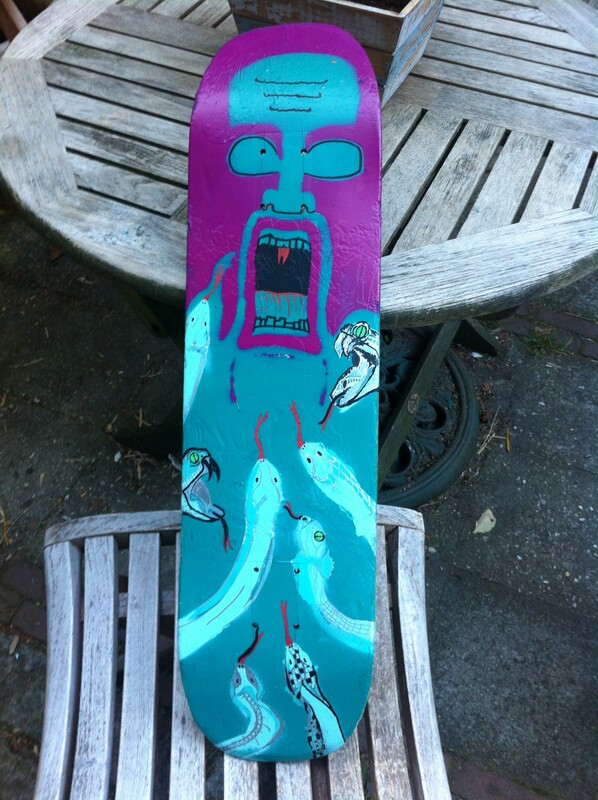 Juul, Thank you for your creative artwork and have fun with your presents.